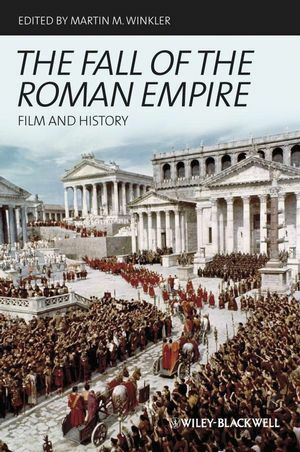 The essays collected in this book present the first comprehensive appreciation of The Fall of the Roman Empire from historical, historiographical, and cinematic perspectives. The book also provides the principal classical sources on the period. It is a companion to Gladiator: Film and History (Blackwell, 2004) and Spartacus: Film and History (Blackwell, 2007) and completes a triad of scholarly studies on Hollywood’s greatest films about Roman history. Martin M. Winkler is Professor of Classics at George Mason University. He is the editor of Gladiator (Blackwell, 2004), Spartacus (Blackwell, 2007) and Troy (Blackwell, 2006) and the author of The Roman Salute (2009) and Cinema and Classical Texts (2009). He has also published numerous articles on Roman literature and filmic retellings of classical and medieval history and myth.